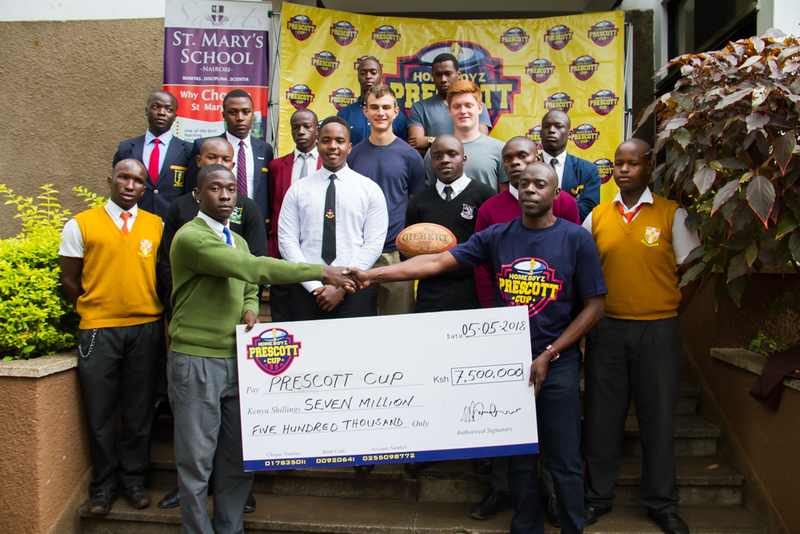 Prescott Cup received Ksh7.5 million worth of sponsorship from Homeboyz Entertainment Limited ahead of the 2018 edition. The presentation was done on Saturday May 5, 2018 at St.Mary's School by Homeboyz CEO Myke Rabar who is also the chairman of rugby side Menengai Cream Homeboyz. Following the sponsorship the tournament will now be known as Homeboyz Prescott Cup for the next three years. "For us we are very keen on leading empowerment through sports. 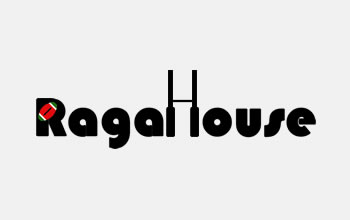 If you start at early age you sure to get positive results that's why we've come to the school level," said Rabar. 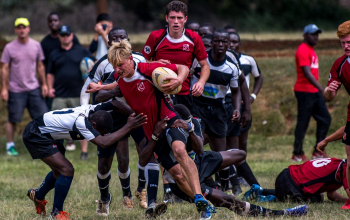 The Prescott Cup committee also said it's planning to enter a side selected from the competition to the annual Craven week tournament in South Africa according to Mwangi Karimi of Alliance High who chairs the committee. Rabar on his side also announced they would be giving scholarships to students picked from the Prescott Cup. 10 scholarships will be given a year by Homeboyz, five going to local and five going to international students. "Scholarships for us is key because we want to emphasize on the importance of education. So we've partnered with some institutions to offer scholarships to these outstanding players." 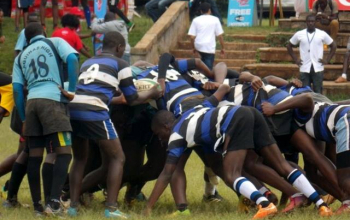 The 2018 Prescott Cup will see the introduction of festivals where a certain school will host a round of matches including the Damu Pevu, Damu Pevu II and Damu Changa. 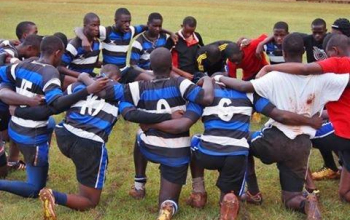 The first weekend will see RVA, Alliance, Upper Hill and Nairobi School all play at home on Saturday May 9. Nairobi Scholl will host the first festival on Saturday May May 12, Lenana School will host second festival on May 26 while the third festival will be held at a venue to be confirmed. Rift Valley Academy will host all the semifinals. To run the events for the year is a committee selected by schools in recent weeks. Mwangi Karimi of Alliance High chairs the committee. He will be assisted by James Kaili of Ofafa Jericho. Kombo Kikechi of Muhuri Muchiri is the Secretary while Alfred Okwemba of Thika High takes up the Tournament Director's role. Gregory Sang from St. Mary's and Maurice Okumu of Upper Hill are committee members. 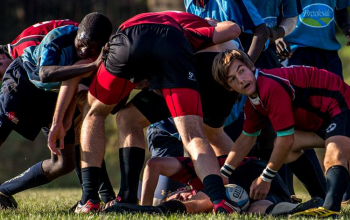 Nicholas Abala, of the Age Grade & Development docket will represent the Kenya Rugby Union.